Lodi is a compact city along Mokelumne River, surrounded by vineyards and orchards, with livable neighborhoods and a revitalized downtown. The city stands at the cusp of major economic changes as a burgeoning center of premium wine production and tourism, and expanding retail, office, and educational sectors. Its desirability is resulting in growth pressures, evidenced by multiple large development proposals, especially along the city’s western and southern edges. 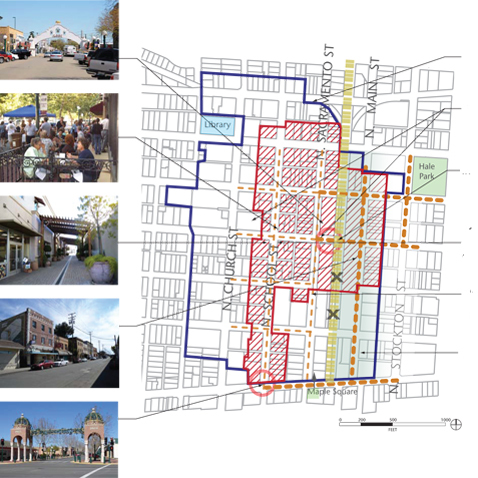 The updated General Plan maintains the city’s compact form by focusing new development downtown, along key mixed-use corridors, and in strategic growth areas contiguous to the current city limits. Community design, infrastructure planning, and synergistic land use and transportation planning are key components of the plan. 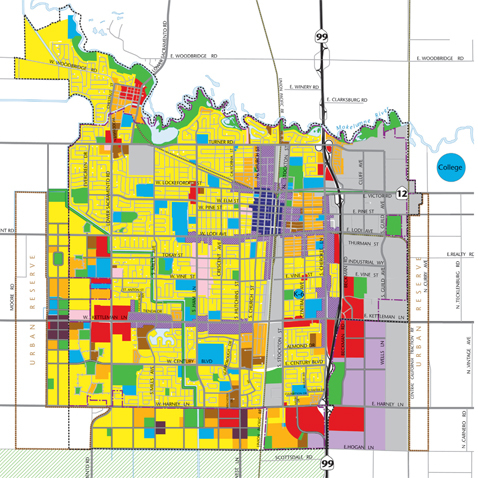 It seeks to protect open space and agriculture; expand street connections; improve pedestrian and bicycle mobility; and foster economic development to ensure fiscal sustainability, neighborhood livability, and overall quality of life. Plan preparation was informed by community outreach activities, including a mail-in survey, workshops, and neighborhood/business group meetings, and extensive technical analysis, including research on agricultural preservation strategies.